No car at a Frankfurt show oozing with a record number of new production models and concepts was more significant than Volkswagen’s tiny, long-awaited and, to me, brilliant Up. The Up may have lost the radical under-seat, rear-engine of the 2007 concept, but thanks to very clever packaging of the engine, gearbox and radiator, the production car has a genuinely roomy interior – thanks to a near-Polo length 2420mm wheelbase, my lanky 1.92m frame can sit behind me – charming interior and sizeable boot. A queue of executives, designers and engineers from rival car makers (I saw Renault, Fiat, Hyundai, Peugeot people giving a thorough inspection) spent hours measuring, examining and photographing the raft of variants on the enormous VW stand. The introductory three-door in three trim levels was joined by a five-door, beach buggy and electric versions. 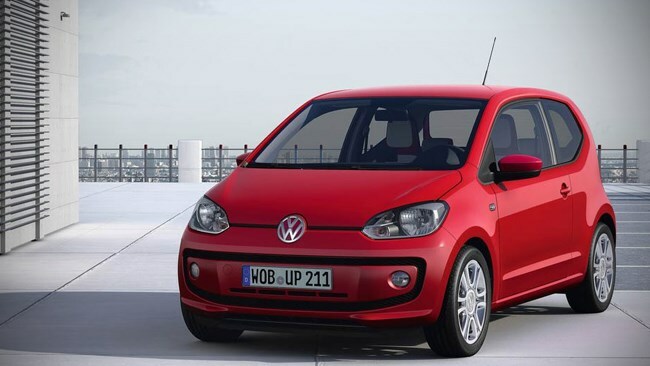 Best of all, VW confirmed that the Up is destined for Australia in late 2012 at prices starting under $15k.